Some of these poems are prosaic, some disturbing, some out-and-out hilarious: I like the dark sardonic tone and exquisite vernacular of gallows humor that popped right off the page. David Lohrey commands an arresting, hard won deadpan syntax entirely his own. He can be biting, toothy, sardonic and often ambiguous. I love the casual acerbic tone. He makes me think of "Dover Beach" and Jonathan Swift. He is a deadly serious (and skilled) poet, who happens also to be a very funny man. Charles Bukowski comes to mind. It is a poetry of outrage, a poetry of sadness, and a poetry of laughter. 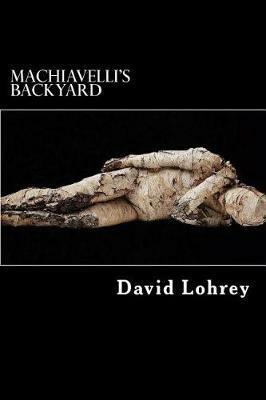 Reading "Machiavelli's Backyard" is like being invited to a garden party in a Walmart parking lot.